There are companies and national laboratories that will be using muon technology to image Fukushima high density material. More to follow. I’m not sure, as we haven’t yet seen images of it all, but that scenario makes sense. I think it’s gone beyond groundwater level and is burrowing farther down into the rockbed. Can’t help but wonder if that why so much earthquake and volcanic activity is taking place. Yes; I think you’re probably right. I have also considered that the insane amount of storms can be getting a kick from the huge amount of Fukushima radionuclides whipping through in the wind and water. The buckyballs (salt-water molecules peppered with, in particular, tritium) are active little machines and it makes complete sense that they would over-activate or agitate whatever they come into contact with (do you think?). 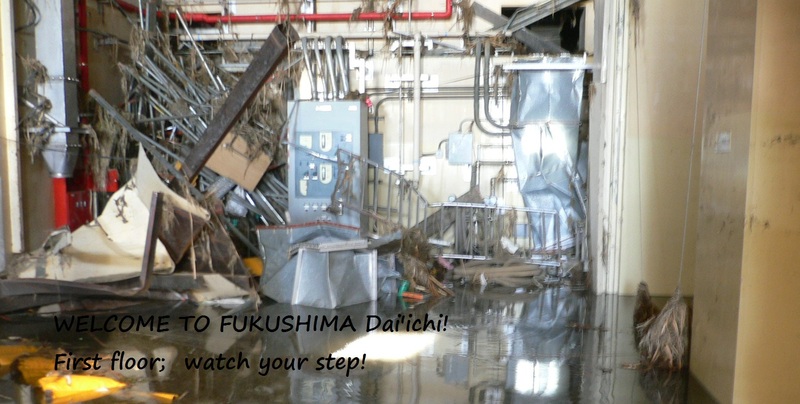 I came back on my travel this February and found out our government and media don’t tell us truth or even they don’t mention about Fukushima daiichi nor tepco. It made me terrify. They say eat food which is made in Fukuoka or Tohoku area ( near Fukushima ) to cheer or help Fukushima people out ! And not a few people believe buying those food is good things. Actually I went to supermarket and my friend wanted to buy those food so I said I didn’t want to buy them since they might get effect radiation. My friend said don’t you wanna help Fukushima people ? Whaaaat? Isn’t it crazy? It seems like many Japanese already gave up to make own country better. I also well recall that, “Happy Fukushima”, video of people going out to Fukushima Prefecture for a VISIT (how crazy is that? ), stepping off of the bus, and dancing to that song, “Happy”. When I commented about how stupid it was to be happy in Fukushima (given the meltdowns), I was attacked. People seemed to think I was being mean to the Japanese people! I wonder if people would want to eat food grown in Chernobyl? Something tells me, NOT. 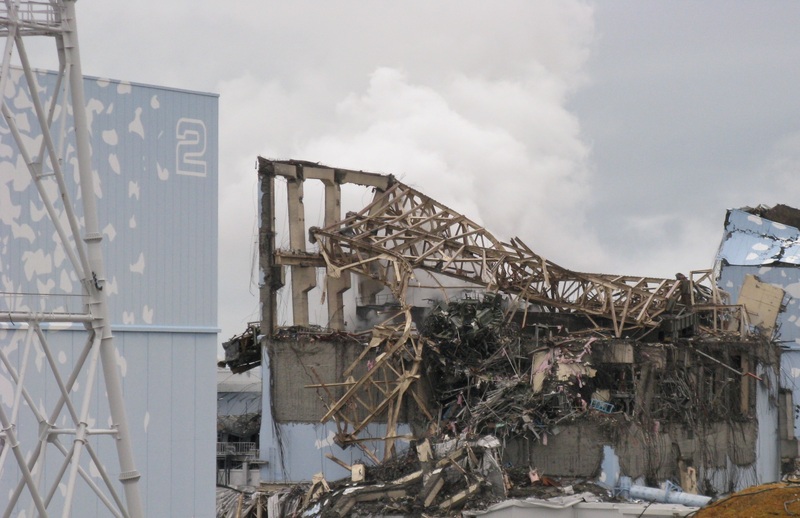 Yet, Fukushima with its three FULL-CORE meltdowns (and nobody knows where the coria are!!) is selling irradiated foods, all over the world. At least, in Japan, 100sv is too much. In the USA, that number is 1,200sv! So this means food that is considered too hot in Japan can be sent to and sold in the USA. In Canada, the amount of tritium allowed in drinking water has been raised by (I believe) thousands of percent. I am sure this is because tritiated water is flowing from Japan into Canada (and all of the Americas) at very high levels. So, when people check residue of their water, and find these astronimical numbers, the government can say, “oh, we consider that safe.” Meanwhile, everything in the Pacific is dying.. And every living creature, on land and near the Pacific, is dying, too. People won”t get it until PEOPLE, in their immediate families, die, and this wiill happen soon enough. it seems that saying anything negative about Fukushima is being taken, by some people, as racist(?) against Japan. I’m not even mad at Japan! I’m more angry at the nuclear-cartel and America, who put them in motion and pushed nuclear-energy (if one can call it that) onto that island nation. That was a very bad idea and I wish we had never done it. I think a small portion of that pool landed in my yard in Wyoming on about day 6 of the original event , but i can’t prove it. (ahaha) Could be.. But, yeah; you’d have to prove it to collect the hundred bucks. That’s ok , i would just squander it , give it to Dana , he will make better use of it than i ever would. The Pacific is dead to me. Leaking every day since 2011. Technically, it was dead to me back in 1990 with all the open sores and burned off fins I was reeling in on the fish just offshore La Jolla. Just outside of the Ocean Preserve area up current from our dirty bay. I found this in my spam box just now. I wonder which key word put it there. I think the Pacific is dead to everyone SS, but it’s particularly dead to the inhabitants of that (tritiated) water. WP is sending a lot of things to spam; or, google sends most things I care about to spam. Yt does the same. People i want to hear from? I don’t get messages from them (they automatically go to spam.) Jerks (trolls) who actually do send out spam and other garbage? That ends up in my inbox and is marked IMPORTANT. Now, to see if WP will allow me to sign on to my own site, as I have a post in mind..
Hi Anne, “I think the Pacific is dead to everyone SS” SS? WP? I’m tired of acronyms and obama. Spell it out. Thank you, Benjamin. Yes, I have friends out on the coast, and I worry about them. We are seeing some terrible stuff coming out of the ocean. i don’t really get the meaning of the atomic weights ‘n measures but clearly they are a death threat to all in the area and the currents of air and ocean spreading that warm fuzzy feeling far and wide…stop nukuler fuels. In Japan, “safe”, is under 100 microSeiverts per hour or per litre or per square-meter. SO, yeah; nothing at or near Fukushima should be considered, “safe”. In fact, it is deadly! This is mostly for the pro-nuke folk who like to lie about what the numbers actually are and who keep lying about ineptco- tepco workers at (near, by, at all…) not dying and not getting sick. That’s a load of bunk. The birds, fish and mammals are already dying all around us from the poisons we have made and can see, add to that the life ending poisons we can’t see. How many generations do humans have left to live? How many generations do people have to live? I think it depends on two things; where are the people living (and how much radiation are they exposed to?) and what sort of immune system(s) do they have? I do think one’s immune system plays a role in whether or not one will grow cancer(s) from radiation. And, when it comes to future generations, we can look at insects, spiders, fish, birds, sea-mammals, and animals which reproduce, at least yearly. We’re already seeing mutations, in a variety of species. Even if the mutations aren’t as apparent, one thing that often changes (silently) is one’s reproductive organs, due to parental (esp maternal) exposure to rads. Children of exposed parents may be born infertile. Or, they may be born with problematic DNA, and then their children born infertile or with other issues (like extreme autism or systemic brain diseases) that otherwise prevent them becoming parents, themselves. I don’t know how much longer people will live (and reproduce) but I think we can look at what’s been happening in the ocean and get a pretty good estimate. Based on the Pacific’s UME (Unusual Mortality Events), I think we’re looking at this beginning already in this generation, but becoming much more evident in the next generation. And, I think it will essentially spread across the country like a slow-burning fire. I expanded my resoonse to your question, as I finally had time to do so, today. Hope you’re outside, painting, happily!